In today’s modern world, it’s often necessary to travel while you’re pregnant. While it’s best to restrict your activity during the third trimester, it’s still possible to travel safely provided you adhere to some basic principles. The comfort levels and safety of traveling while pregnant vary dramatically from one month to the other. 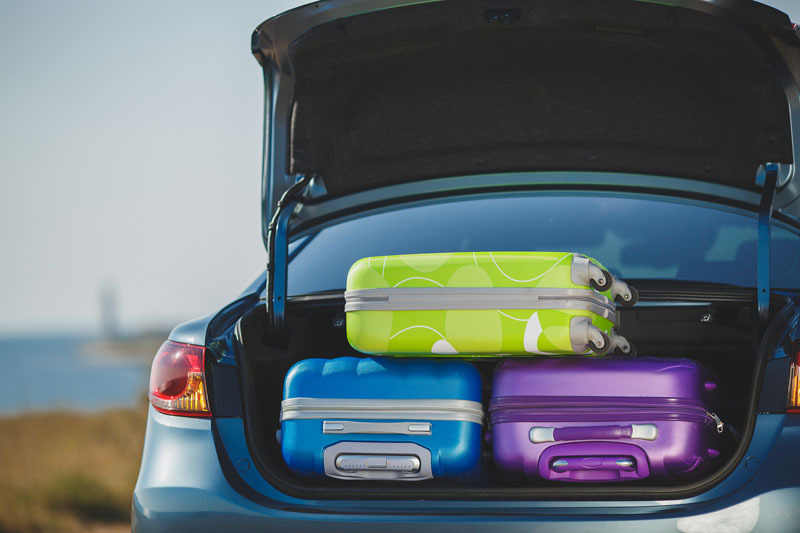 Traveling during the first two trimesters is generally regarded as safe with no restrictions. The first trimester is often completely safe, but you may experience a bit more fatigue during this time. Only pregnant women that have been advised by their doctor to avoid travel during the first two trimesters should be concerned. Generally, airlines will prohibit you from traveling in your ninth month of pregnancy and some may limit your travel before then. The third trimester is often a time when it’s going to be uncomfortable for you to travel. While you may be able to travel without incident, the third trimester is a time when you should be attempting to avoid the stress that travel induces. It’s a risk to travel during the third trimester because you may be away from home and go into preterm labor. If this happens while you are away from your primary doctor, you may need to go to a doctor in a town that you are not familiar with. This can add to the stress of labor and make giving birth much more difficult for you. Aim to complete your travel plans within the first six months of pregnancy, and any travel you do take in the last month should be within an hour of your intended hospital. While most women can travel throughout the majority of their pregnancy and into the beginning of their third trimester, there are some women who should minimize all travel. Women who experience preterm contractions, pregnancy-induced hypertension, bleeding or gestational diabetes should limit their travel at all stages. If you feel a need to travel with any of these conditions, aim for short trips that are close to home. Often, you can find enjoyable activities within a 30-minute drive of any location. Your pregnancy is a good time to become more familiar with your home and area if you are in the high-risk pregnancy group. 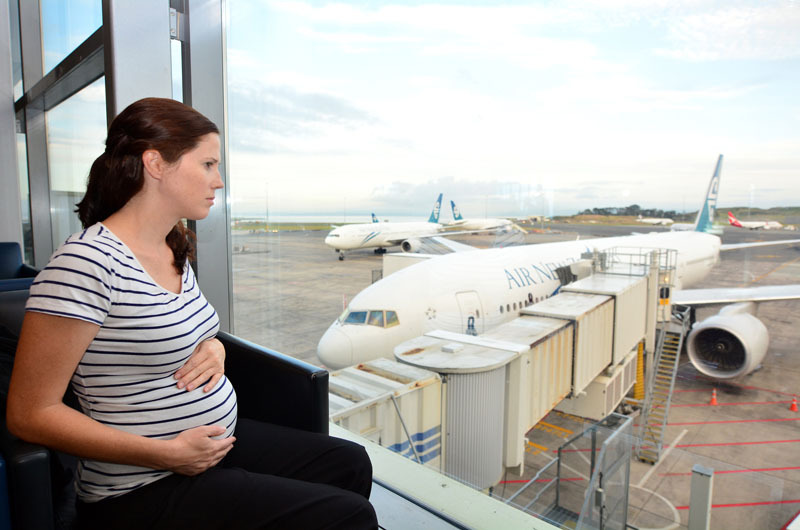 There are many things to consider when planning on traveling when pregnant. The best option for traveling in most cases is going to be by car. When you travel by car, you have more control over your stops and can rest when you’re tired. Better yet, if someone else drives for you, it’s possible for you to sit back, relax and enjoy the trip. If you do drive, make sure to stop and stretch every hour or so to ensure you’re getting adequate circulation. Schedule regular bathroom breaks since you don’t want to risk a urinary tract infection from keeping your bladder full. Additionally, when driving, bring pillows and blankets so you can stay in the most comfortable position possible. Traveling by train is another good option for your first two trimesters. It should generally be avoided in the third trimester, but at other times it can be an enjoyable way of going a long distance. Traveling by train offers the convenience of a bathroom when you need it, comfortable seats and the ability to walk around whenever needed. Boat traveling is also okay during the first two trimesters. Since most boats have medical personnel available, you should be able to get the help you need should a problem arise. Check with the cruise ship to ensure they will be able to accommodate you. Some insurance plans may not cover issues that occur aboard boats during a pregnancy since it’s not seen as an essential mode of transportation. Flying is a good option during your first two trimesters, but many airlines may prohibit you from traveling during the third trimester without a recent note from your doctor. In some cases, they may not allow travel at all. It’s important to check with the airline you plan to travel with ahead of your travel dates to ensure you won’t experience any issues with the airline’s policies. If you have connecting flights, leave enough time to get between flights so that you don’t have to hurry. Drink lots of water or juice and wear support hose while flying to keep your circulation going. The 36th week of pregnancy should be a period where you do not have any travel plans. It’s especially important that you don’t fly by plane during this time. If you have additional risk concerns like a placenta-related issue or are a candidate for preterm labor, you should seriously consider avoiding travel altogether. The 36th week is considered the point where it is no longer safe to travel by plane. Many doctors will recommend that you don’t travel in the ninth month as well. Frequent travel by plane can cause you to exceed the safe levels of cosmic radiation during a pregnancy. Frequent low-altitude flights or several high-altitude flights can easily cause you to exceed this limit. Ultimately, be smart and discuss all of your travel plans with your doctor ahead of time to make sure it’s safe for you to travel.